FANTASTIC KITS TOWNHOUSE. 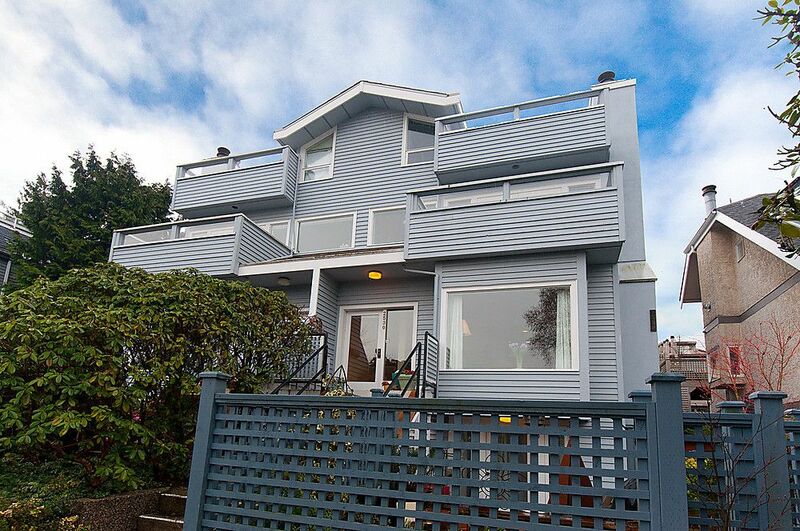 One of 4 units, this 2 bedroom and den with 2 1/2 baths has Mountain views and attractive updating. High ceilings on 2 levels with a garden patio off master bedroom, 2nd bedroom with adjacent den or nursery. 2year old kitchen with gas cooktop & convection oven as well as Quartz counter tops and new cabinetry. Updated with Engineered Oak Hardwood floors on the main, newer carpets on bedroom level, gas fireplace and side by side laundry. Single car enclosed garage and lots of storage. A great lifestyle just steps from KITS Beach, walk to Granville Island, 4th Avenue shops and great restaurants.